Family is the most important thing to Jackie Dupler, which explains why, as an attorney just beginning her practice, she immediately excelled at family law. She is skilled at compassionately yet firmly advocating for her clients, understanding that every family is different with unique wishes and outcomes. Through a tailored yet effective approach, she encourages resolution where possible. 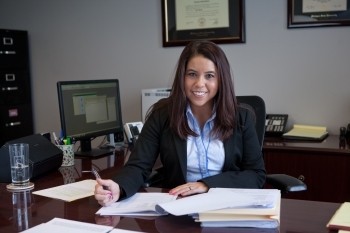 However, when resolution cannot be met outside the courtroom, Jackie confidently and assertively represents her clients and promotes the best interests of Michigan families through legal action. Jackie doesn’t simply take on a client’s case. She takes on the whole person or family and their particular situation. As a Lansing family law attorney, she understands that legal matters regarding divorce, custody, parenting time, child support, and spousal support are far reaching with significant ramifications. Because of this, she works with her clients to not only obtain the best results regarding their case but also helps prepare them for real-life changes. Jackie frequently goes above and beyond for her clients – from assisting clients in establishing their personal budget to aligning clients with professional mental health resources, finding the right realtor or financial advisor, and empowering clients as they move into a new chapter in their lives. Jackie’s clients often remark how prepared they feel about their case and appreciate her open and honest communication. She believes in discussing all potential results with her clients so they are confident and can anticipate realistic outcomes of their case. She works diligently to gain trust and create comradery with her clients during times that can otherwise feel overwhelming and uncertain. Jackie’s clients often remark how prepared they feel about their case and appreciate her open and honest communication. She believes in discussing all potential results with her clients so they are confident and can anticipate realistic outcomes of their case. She works diligently to gain trust and create comradery with her clients during times that can otherwise feel overwhelming and uncertain. Jackie handles a wide range of family law matters, from straightforward divorce cases to difficult family situations involving substance abuse, domestic violence, sexual assault, and complex asset and debt issues, such as business ownership, self-employment, and complicated retirement accounts and pensions. Due to her experience handling delicate family law cases that often involve heightened emotions, she has also become a strong advocate for victims of sexual assault in recent years. She is understanding, compassionate, and creates a sense of comfort and rapport with clients facing these challenging situations. 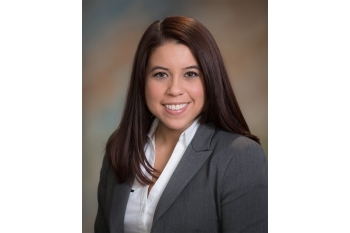 Jackie grew up in California and attended high school in Japan before settling down in the Lansing area to attend Michigan State University where she obtained double undergraduate degrees prior to attending law school. This diverse background gave her a broad cultural understanding and firsthand experience of differing family dynamics. Following law school, Jackie clerked for a family court judge in Ingham County before joining Sinas Dramis Law Firm in 2014. In her spare time, she is a fitness instructor, trains for and runs half marathons, and enjoys spending time with her husband and family.